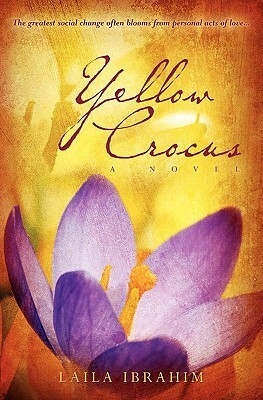 Yellow Crocus by Laila Ibrahim – It's Time to Read! I received this book from Netgalley some time ago and am ashamed to say I have only just found time to read it. I picked this book because I wondered if it would be like The Help by Kathryn Stockett, a book I really enjoyed. If I am honest, there are some similarities between the two stories and I would recommend them both. Yellow Crocus follows two characters: Lisbeth, the daughter of the plantation owner and Mattie, her wet nurse, a slave on the plantation. Mattie is brought into the house to feed Lisbeth but Lisbeth is so attached to her that Mattie basically raises Lisbeth. Mattie longs to be able to raise her own son – Samuel – instead and finds ways of entwining Samuel and Lisbeth’s lives. However, this can’t continue forever and Samuel is soon sold to a neighbouring plantation. It is around this time that Lisbeth starts to realise that the life she leads is very different to Mattie’s. She is quietly outraged by the treatment of the slaves but keeps that to herself until one afternoon, as she is looking for her fiancee she finds him mistreating a young black girl. This is the last straw for Lisbeth who sets off on a course that will only upset and embarrass her parents, but one she knows is right. When I was looking at this book on Goodreads I noticed that the rating for this book is 4.1 out of 5, based on 2059 votes. I have to say, I’m not surprised that the novel has such a high rating. I really enjoyed this book. I read huge chunks of it at a time because I was drawn in and found I just wanted to know what was going to happen to both Mattie and Lisbeth. This is historical fiction at its best. It looked back to a turbulent time in America’s history, when the South was playing host to a great number of black slaves. I felt the book was written with discretion – although this is a sensitive subject, it was dealt with in an elegant manner. I would love this to be a true story – I can’t confirm that it is – but I really hope there were white people during that time who did stand up for what is right. I liked both Lisbeth and Mattie. I was rooting for both of them throughout the whole book. I felt for Mattie, who was taken away from her child when he was only 3 months old to look after someone else’s baby but I loved the relationship she formed with Lisbeth. Lisbeth idolised Mattie and I found that very sweet. I loved that for Lisbeth, even with all the teaching she received, the colour of their skin did not stop them forming a strong bond. Both women were incredibly brave in completely different ways and I just wanted to see them both win the battles they were facing. I’m glad I chose to read this book. I really enjoyed it and would highly recommend it. If you liked The Help, then I think you will like this book. The two novels are different but both show that there were some people who had compassion towards those in slavery and I love the idea that there are people who stand up for the rights of others – even today. This book is well worth reading. I was most surprised by how much beauty and pleasure I could find in a book which in large part is about slavery. I could not put it down. With two small toddlers at home, it is rare for me to finish a book in 6 months, let alone in the few days it took me to read Yellow Crocus. The details of the deep and powerful relationship between a white girl and the black woman who nursed, raised her and saved her life- enabled me (a white lady) to stomach more of the realities of slavery and glimpse for moments about how folks managed those times. Of course, as a mother, it was unbelievably painful to read about what Mattie (the main character) has to endure with her own children. But this a decidedly a good pain that brings me in touch with the strength and brilliance of women….and the ability of some to continue to do the hard work of mothering and loving under the most difficult of circumstances. Thanks to Abrahim for letting me shed many a meaningful tear. I finished it last night and enjoyed it.